The first thing you have to realize is this: Airlines offer frequent flyer programs because they are massively profitable. And since they’re profitable, the average consumer is losing out. But a rare few travelers actually benefit from them. So I’m going to tell you the secrets for how to actually exactly how to get cheap flights using airline frequent flyer programs. Reward flights are rarely free. You pay in some way, but the trick is to pay as little as possible. So I’ll first discuss the unintended ways in which most people pay for their “free” flights. Credit Card Surcharges – If you have to pay a surcharge to use a credit card (to earn points), then you are paying for those points. A 1% surcharge may not sound a lot, but it means you’re paying 1% of the purchase price of the item for the points you’re receiving. Credit Card Fees and Interest – If you incur fees and/or interest as a result of using a credit card that you wouldn’t otherwise use, then it counts as a cost of the flight (if you ever end up redeeming one). Fuel Surcharges and Taxes – No matter how the airlines word it, a fuel surcharge is a cost of flying. Fuel surcharges can exceed $1000 for RTW trips, but some airlines don’t charge them on reward flights (this is a big deal). 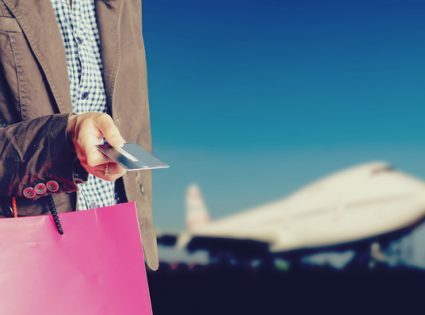 Unplanned Spending – This is the primary way airlines and credit card companies benefit from reward programs: by enticing you to spend when you otherwise wouldn’t. If you use points to justify a purchase, then you’re incurring an additional charge for your flight. Simple. As you can see, the airlines and credit card companies don’t make it easy. You have to become somewhat religious about frequent flyer points if you intend on one day receiving a cheap flight. But you can skew the system in your favor beyond avoiding unintended costs. The key is to accept that your “free” flight will actually cost something if you want to take the flight in this lifetime. It then becomes a trade-off: the more you’re willing to pay, the quicker you’ll receive the subsidized flight. I want to fly to Timbuktu later this year. The flight normally costs $2000, but I’d like to pay less by using points. Fees and taxes are $200, so I can save up to $1800 by using points. After researching flights, I find I need 100,000 points for this trip. That means I can pay an absolute maximum of $0.018 per point. The most effortless way to earn points is to accrue points without changing the way you live (with credit cards or otherwise). But that can take forever. So I explained (above) that you can pay for your points to hasten the process, as long as you don’t overpay. But that can take a long time too. So here are a few ways to further fast-track your point accrual. Choose the Right Program – If the American Airlines requires 100,000 miles to fly to Timbuktu, but Qantas only requires 70,000, then Qantas may be better. But you also have to check earning rates. If you can earn 2 AA miles per dollar spent, but only 1 Qantas point per dollar spent, then the AA program is better. Find the Right Credit Card – In many countries, American Express (Amex) offers the highest number of points per dollar spent. But many retailers don’t accept AMEX, and when they do, they charge up to a 3.25% surcharge. Do the research before committing to a card. Reconfigure Expenses – I found I could pay for all sorts of things on Amex, for example, my electricity bill. Keep an eye on the surcharges, calculate the cost/benefit, and then reconfigure your bills to earn the most points. You may be able to use your card for business/work expenses to earn points and reimburse yourself. Use Sign-up Bonuses – The easiest way to get lots of points quickly is to sign up for new credit cards that offer large sign-up bonuses. You can do this over and over again, albeit with minor credit rating degradation. If you’re disciplined about it, you could earn a RTW flight each year. But beware of sign-up fees that accompany these deals. Watch Out for Loopholes – There are forums dedicated to Travel Hacking and frequent flyer points accrual. Many of these forums report on amazing deals or loopholes that lead to massive earning potential. I won’t go into too much detail here, but spend some time on these forums (Flyer Talk and Frequent Flyer ). People have accrued millions of points in just weeks by acting quickly. Plan Flights Accordingly – Of course you can earn points/miles from flying. But it pays to research your program, understand how points accrue and structure your flight to accrue the most points. This requires some flexibility, but it can make a big difference. In Part 2 I’ll talk about the best way to use points. This is very important because it sets a value for your points, which in turn sets the maximum price you can pay. Too many people overvalue their points and pay more than the retail sticker price for flights. Stay tuned.